The Australian Computer Society (ACS) submission to the Senate Select Committee on the Future of Work and Workers (Number 148) has been published*. ACS recommends evaluation of existing traineeships funding programs, a focus on ‘soft’ and transferable skills, and for government to lead the way on employment retraining. From (ACS) submission to the Senate Select Committee on the Future of Work and Workers, Number 148, 2018. As the largest employer in the Australian economy, the government has an obligation to lead the way on employment retraining programs ..."
* I had some input to the ACS submission, as a member of the ACS Professional Education Governance Committee (and also made an individual submission). A 103 page report on Optimising STEM Industry-School Partnerships: Inspiring Australia's Next Generation has been released by the Australian Education Council. The Forum recommended a national online toolkit on STEM partnerships. Also a dashboard of STEM educational performance. Minimum national requirements are propped for teacher professional learning for primary and secondary teachers, along with VET in schools. What is not covered in the report is how much all this will cost, or who will pay for it. Greetings from the Australian National university in Canberra, where Teach for Australia and the ANU Biology Society are presenting: Non-Traditional Careers in Science. This event is perhaps misnamed, as science graduates going into school teaching is a traditional career option. As I understand it, Teach for Australia provides graduates with support and accelerated training so their can enter a classroom quickly. But their website is so full of aspirational marketing material that it difficult to tell how the program actually works. There is a strong demand for STEM graduates in government and industry. In the case of computing students the problem is to keep the best students at university long enough to graduate, before they are recruited by companies (or set up their own). If education departments want to attract graduates, I suggest they are going to have to offer better pay and conditions. The way education is delivered also needs to be brought into the digital age. Students who have used, and in some cases developed, sophisticated on-line tools and techniques are not going to want to revert to chalk and talk in a school classroom. Teaching, particularly for older students, needs to move beyond a classroom based experience. Students need to be learning out in the world, supported by teams of teachers with access to technology. The teachers need to be supported on-line as well. by Noonan and Pilcher (2018). Participation in Vocational Education and Training (VET) in Australia is predicted to drop from the current 4.3% to 1.4% by 2030, while university participation is expected to remain at the current 4.9% of the population. This is in a recent study by Noonan and Pilcher (2018) from the Mitchell Institute at Victoria University. The study has some limitations. One is that while noting postgraduate qualifications "are increasingly required for entry to many professions" they are not included in the study (Noonan & Pilcher, p. 4, 2018). A limitation not noted by the authors is that they have assumed other sub-degree qualifications (certificates, Diplomas and Advanced Diplomas) are only offered by the VET sector. I suggest there is likely to be increasing use of sub-degree university qualifications, as a way for government and students to stretch the education budget. The study assumes that current government policies and practices are unchanged. This is unlikely as the current situation is unsustainable. The VET sector is in a state of near collapse, due to state and federal mismanagement. University budgets are being propped up by international student fees which could come to an end at any time. Rowland, Slade, Wong and Whiting (2018) looked at what attracts students to websites offering to write their assignments for them (so called contract cheating websites). The authors found that contract cheating websites had similar features to a typical website for a hotel. They found differences with the contract cheating websites emphasizing quality: qualifications of their authors, quality of the results, security, price, timeliness, confidentiality and satisfaction. Rather than a hotel, perhaps the authors should have used a dating website for comparison, where more trust is required by the client. The way for institutions to counter the attraction of contract cheating, I suggest, is to use similar marketing on student support websites. Institutions might want to set up, or sponsor, semi-independent help sites, so students feel it is not more of the same from the institution. It would also be useful for institutions to design courses using on-line distance education techniques. The idea is to provide students a course in small increments, with feedback and support. This way a student sees what they have to do and receive small rewards, in the form of grades, for doing it. Students who do not do the small exercises on-time and to the required standard can be quickly identified by instructors and offered help, before a major hurdle is reached. This way a student will not be left languishing at the back of the class for most of a semester, then be tempted to cheat to pass a major assessment exercise. The student who does try to cheat on a major assignment will be easier to identify as this will not be consistent with their past work. Students will know that their instructor knows, from the feedback they get and so they will know they are likely to be caught cheating. I use this approach in the course "ICT Sustainability". In "Rise of the monster campus devouring uni communities" (The Australian, 18 April 2018), Geoff Hanmer, Managing Director of ARINA suggests the ideal university campus has 10,000 to 20,000 students. He cautions Australia has too many large campuses and points out the average US four-year college has less than 5,000 students, whereas the median for Australian universities is over 20,000. I agree that large university campuses can be overwhelming. But where the university blends with the city, as it does in Oxford, Cambridge, Melbourne and Canberra, a large university can add to a vibrant urban culture. Australia doesn't have many small US style colleges, as government regulations and international market don't encourage them. The regulations make it difficult to set up a non-university tertiary institution and the market makes it hard to sell such an institution to an international market. Hanmer points out that smaller campuses have higher Quality Indicators for Learning and Teaching (QILT) scores. However, universities use their research ranking to market to students and those rankings favor the large institutions. Students are not very interested in teaching quality when looking for an institution. After enrolling and discovering that a research reputation doesn't equate good teaching, it is too late to change. In any case, the move to on-line education is resulting in student numbers being decoupled from campus size. My rule of thumb is that the average student needs to do 20% of their studies on campus. A university with one campus can have 50,000 to 100,000 full time equivalent students enrolled and still be in Hanmer's "sweet spot". Only one fifth of these students would be on campus at the same time. It should be noted that one of Australia's largest universities already has 60,000 students and no campus. This is the Open Universities Australia on-line consortium of institutions. 19 April 2018). This comes out of research by Mewburn, Suominen and Grant (2017) on using Artificial Intelligence to read job ads and look for those requiring high level research skills. "Most faculty members are ill-equipped to advise on alt-ac or post-ac career paths, assuming they are open to the possibility of their students pursuing a career other than a typical tenure-track position." Higgins and Daniels (p. 238, 2015) attributes the popular use of the hastag "#postac" to a blog by Pan and Roberts started in 2011 (and that is the oldest reference to the term I could find in the literature). Pan and Roberts refer to "... practical ways the skills we gained as underpaid, overeducated academics might translate to other professions". However, I suggest this, and most discussion of the relevance of a research degree to non-academic employment, suffers from a fundamental flaw. Discussion of the suitability of doctoral degrees for employment assume that the student is undertaking a research degree (commonly referred to as a "PhD"). It is also assumed that such students should reasonably expect to find long term employment in academia, or in a research position in industry. However, not all doctoral degrees are focused on training research specialists. Australia recognizes this by having a second form of Doctoral Degree: Professional (commonly referred to as a "Doctor of discipline"). This requires research skills, but is intended for more practical application outside academia and research organizations. Also there is plenty of literature making it abundantly clear to doctoral students that, outside a few areas, their chances of employment in academia or research are minimal. Encouraging students to undertake a Professional Degree, in preference to a PhD, would solve many of the problems around employment of graduates. The student would receive an education designed to provide skills and knowledge relevant to a job in a discipline. However, I suggest even those few undertaking a PhD and destined for a career in academia need more than just research training. University academics will spend a considerable part of their time teaching, supervising staff, making presentations to funders and administration. These are all skills not normally covered in a PhD, especially if the student spends their days working alone in the lab and only occasionally seeing their supervisor. I suggest that these skills should be included in the PhD curriculum, assessed by an e-portfolio and with formal coursework offered to the student. It should not be assumed the student will pick up these skills somehow thought extra-curricular activities. This will result in a PhD looking not that much different to a professional doctorate. The PhD will learn in a group of students, not alone and have a team of instructors with qualifications in communications, teaching and project management, to work alongside the discipline supervisors. A benefit of this approach will be that the high rates of stress and mental illness amongst PhD students should be able to be addressed. It should also lessen the frustration and stress for PhD supervisors. The World Wide Web Consortium (W3C) and the Australian National University (ANU) are holding a half day event on "Data Drives the Smart City", in Melbourne 7 May, Canberra 8 May and Sydney 10 May, 2018. Our world is increasingly being shaped by the vast amount of data being produced in every aspect of our lives. As more devices get connected through the Internet of Things (IoT), harnessing big data in an integrated way can offer valuable insights that can help achieve smart city goals. This comes with important and interesting challenges to solve in order to actualise the smart city vision.Challenges include data collection, integration and privacy. Topics to be addressed include perspectives from Government, tech industry leadership, Web standards for spatial data and city sensing, technical solutions to privacy management, and smart grid futures. A panel session will discuss capacity building for smart cities. Speakers include Dr Ian Oppermann (NSW Chief Data Scientist), Dr Ole Nielsen (ACT Chief Digital Officer), J. Alan Bird (W3C Global Business Development Lead), Dr Mukesh Mohania (IBM Distinguished Engineer in IBM Research), Dr David Hyland-Wood (Blockchain Protocol Architect, Consensys), Dr Lachlan Blackhall (Entrepreneurial Fellow and Head, Battery Storage and Grid Integration Program), Dr Kerry Taylor (Chair, W3C Spatial Data on the Web), Dr Peter Christen (Professor, Data Mining and Matching, ANU), and Dr Armin Haller (W3C Office Manager, ANU)." Greetings from the Australian National University, where Dr R A Mashelkar, Chairman of India's National Innovation Foundation is presenting the 2018 K.R. Narayanan Oration. Dr R A Mashelkar's topic is Dismantling Inequality Through Assured Innovation. He started by drawing parallels with K.R. Narayanan's early life, both walking barefoot to school and then receiving a Tata scholarship. He pointed out the Tata Trust dates from 1892 and predates many other such foundations. He described this as Corporate Social Responsibility (CSR) 1.0 and propose CSR 2.0. Dr Mashelkarthen showed a table assesing failed technology products assessed against each ASSURED criterion. As an example, he suggested Google Glass failed on all criteria, except Excellence and Distinctiveness. While new technologies follow a lowering cost curve (similar to More's law), Dr Mashelkarthen pointed out that the rate needs to accelerate. He pointed out that cataract surgery had become 100 times cheaper, while maintaining quality, due to work-flow innovation in India. Pole-vaulting: For this the example of India's increase in the use of broadband data was given. This was attributed to India's Aadhaar identity card and low cost 4g mobile broadband. I didn't quite understand how this worked, but it seems to be the provision of mobile banking to the poor. Next Practice: The example of a lead-less credit card size hearth monitor connected to a smart phone. The idea seems to be that the low cost sensor can be used by the patient at home, with their smart phone sending readings to the hospital. Disruptive Innovation:Unlike a typical innovation presentation, Dr Mashelkar gave an example of an Indian product which failed: the Simputer. However, its American equivalent, the OLPC also failed (I purchased one of the remaindered OLPC tablet computers on Amazon.com). The last question to Dr Mashelkar was how to cultivate innovation in Indian education. He suggested starting with schools and pointed out this is about culture, not just new school buildings. Discover how to provide formal postgraduate education to students in their workplaces via mobile devices"
There is one simple way to teach students to communicate with employers: get them to practice communicating with employers and assess them on this. Students can practice with written and face-to-face presentations. One overlooked aspect is remote communications. Recently one of my teams said their client would be overseas, so the could not have meetings only email. I pointed out that it was possible to have a "meeting", by email, providing the discussion was suitably structured and documented. The documentation is not just a copy of all the emails, but an agenda beforehand and a set of minutes with what was discussed and what was decided after. Confidence comes from practicing a skill, under more difficult and realistic circumstances. With one team of students I had only just met I warned them they had to be ready to pitch at any time. A few minutes later a venture capitalist came up and said "tell me about your project". The team got through this encounter and that built their confidence. The student has decide what would be of interest to a prospective employer. The more relevant and real-world the better. Once academics get used to the idea that they don't have to give "lectures", delivering university education on-line becomes relatively simple. Postgraduate education to students who have jobs is even easier. Graduate students have more maturity and are focused on achieving results at university. Courses can be redesigned to first identify what knowledge and skills the student has to demonstrate, then provide ways they can do that through practical exercises, ideally involving they day job. Lastly the student can be provided with course notes, videos\, quizzes and the rest of the educational paraphernalia, to support the leaning. Educational applications, including e-portfolio tools and learning management systems, now support mobile devices. The course designer doesn't have to use any special software, they just have to remember to divide the content into reasonably small chunks for the mobile user. Keep in mind the student will not be sitting in a silent room for an hour or more, they will be on a noisy bus with a few minutes to spare. The idea of a portfolio, being a collection of samples of work by an artist is not a new one. An e-portfolio is just an electronic version of this: being a collection of digital artifacts from the student to show an examiner and prospective employers. There are specialized applications to help with producing a portfolio, such as Mahara. These are especially useful where a student uses the portfolio as part of showing evidence of skills and knowledge as part of a formal program. The software to help ensure that the student has met all requirements. This may be also useful where an employer has very detailed job requirements. However, what is of interest to a university examiner is unlikely to be of much interest to an employer. What an employer wants to know is if the applicant can do the job. This is best demonstrated by evidence of the applicant having already done the job, or something similar. As an example, in the ANU Techlauncher program I tutor teams of students who have to produce something (usually software) for a client. The client may be a start-up, a government agency or a company. The last assessment task for the program is an application for a job, which details how what the student did for the project is relevant to that job. Canberra. I am here for a panel discussion on "University Academic Culture: Has It Gone Wrong?". But I am a half an hour early and so have been catching up with my mail. Two strange items are relevant to tonight's topic. One is a media release from University of New South Wales: "UNSW Sydney partners with Keypath Education to expand its digital campus" (16 April 2018). The other is a paper letter from Athabasca University (Canada) about a program review. The media release from UNSW is a little odd. First of all it refers to "UNSW Sydney". Given that this is about on-line education, what relevance does a particular UNSW campus have? The release refers to "... the launch of a suite of new fully online Master’s programs ..." with the company a Keypath Education. However, there are no masters programs mentioned. Also it is claimed that "... Students aren’t comparing their online education experience to their experience on campus; they are comparing it to their online banking experience ...". This is not supported by the education research literature I have read, nor by my own recent experience as a student. It appears UNSW has launched some unnamed on-line programs and doesn't know what students expect from such education. The second odd item is a paper letter from Athabasca University's Center for Distance Education in Canada. This says the university is conducting a scheduled review of the Master of Education program. I completed an MEd at Athabasca last last year and so I am being surveyed about it. That is not unusual, but what is odd is that there is no survey attached, nor any web address for a survey. There are no electronic addresses for anything, or anyone, in the letter. Athabasca prides itself on being an on-line university and in three and a half years of study I received only about a half dozen pieces of paper from them. From the wording of the letter it appears that the Center is not even conducing the survey, it is another part of the university. Athabasca's letter is dated 26 March, postmarked 29 March and I got it 16 April. Is the survey on the way? Has it been lost in the paper or e-mail? Have I already completed it and forgot, as it was so long ago? What is the purpose of the letter? I suspect that the Center is worried about its future and hopes this letter will result in me completing the survey favorably (I will, if I ever get the survey). Both the UNSW media release and the Athabasca University letter suggest a level of desperation from universities about where higher education is headed and what their role is in it. The panel and audience have arrived and the event has started. 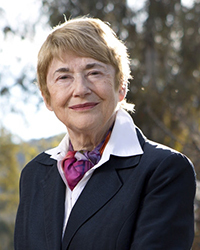 Professor Margaret Thornton, ANU College of Law (author of "
Privatising the Public University: The Case of Law"), warned of the managerat (managers at university) expanding, with the lost of academic freedom and an emphasis on commercial aspects. 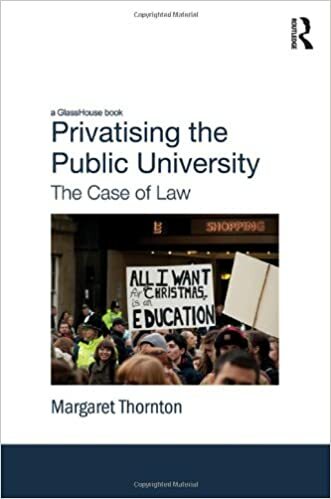 Professor Thornton appeared to be wanting to a return to an age where universities were given funding with no obligation to do anything in return. I don't think such an age ever existed. Dr Kim Huynh, ANU School of Politics and International Relations, College of Arts and Social Sciences (and roving reporter for ABC Radio) told a story about a weightlifter with depression. This person is now a councilor of men to help them not be macho. He then related this to the Center for Western Civilization advocated by Tony Abbot. As far I understand it, Dr Huynh is arguing western universities need to be less focused on a male-focused view of civilization. Ms Bianca Hennessy, PhD Candidate in the School of Culture, History and Languages, College of Asia and the Pacific talked about how the college looks at decolonization. She then related that to what happens at universities, comparing Australian and pacific institution's practice. Ms Hennessy pointed out that regional institutions emphasize benefit to the community, not just the student's job prospects and produce free open access textbooks. Ms Tess Snowball, Manager, ANU Academic Skills and Learning Centre, pointed out how university is now accessible to first in family Australian students who are not familiar with academic life. She also pointed out that international students come from different cultures. These points are familiar to me, being from a first in family generation and as an international higher education student. As a course designer and instructor I am very aware that I make assumptions about what me students know and expect. In "Three lessons from a decade of higher education policy stalemate" (April, 2018), Robert Griew investigates what he characterizes as the "unraveling" of policy over the last ten years. However, by focusing on federal policy he is missing a bigger source of disruption, which is move of higher education on-line. the amount of funding they receive from taxpayers for a product basically taken as a given ...". I suggest this is because the universities are afraid to raise the topic of the quality or quantity of product they are delivering. Universities have been in the business of research, with education as a byproduct. There are not good systems for measuring the quality of education delivered, or the quality of the tools used (particularly not the quality of terracing staff or materials). There are good reasons why education should be provided in programs much smaller than a degree, but university are not well equipped to design such education. The reforms proposed by government of the last ten years have been relatively minor and piecemeal. Universities are now under threat from thousands of start-ups, each trying to bring higher education into the gig-economy. Some of these attempts to uberize education are from business people, some are academics from prestigious universities. Some start-ups have backing from major corporations out to make billions, others are not-for-profit with a reform agenda to provide low cost education. The risk for universities is that just as "the knowledge" of taxi drivers has been devalued by ride sharing and quality journalism has been replaced with click bait for on-line ads, new forms of instant education will see research and deep learning jettisoned as not cost effective old economy baggage. Universities, are desperate to avoid discussing these issues and like other heavily regulated industries are trying to hold on to their legally protected status for as long as possible. By doing so they risk not only their own existence but also what has driven the modern economy. Get outside the beltway: This is an unfortunate Americanism. I suggest whatever problems there have been with Australian education policy, we are at least not in the mess the USA is with student loans. Griew suggests resetting the policy to address jobs, services, businesses, community and safety. This is a sensible suggestion, essentially asking what our universities can do for us. I suggest what such a policy review would come up with are shorter vocationally oriented programs which blend corporate VET, government TAFE and universities. Engage beyond the club – the “tertiary” question: Here Griew explicitly mentions the Vocational Education and Training (VET) sector and the non-university higher education providers (NUHEPs). Australia runs a system with two and a half higher education sectors: VET is at the lower level and then universities above that. NUHEPs are somewhere in the middle, being more than VET, but less than universities. How to handle NUHEPs is a problem many countries have (India has tried and failed to come up with a workable approach). Make life easier for Education ministers: Griew's last recommendation I did not understand. Ministers with funding responsibility will always be under pressure from sectional lobby groups. Universities carry out research and train people at doctorate level in how to apply political pressure. It is not surprising that universities can apply lobbying pressure with scientific precision. While universities are a major component in Australia's third largest export industry (education), government are going to remain reluctant to do more than tinker. However, Griew, like many discussing eduction policy, seems to be engaged in an exercise of deciding who should arrange the deck chars on the Titanic, while the iceberg approaches. Higher education is in the process of moving from the campus to on-line. This has profound implications for education as a business as well as how it provides a service to the community. In 2011 when I wanted some more education I enrolled on campus, a few kilometers from where I live in Canberra. A few months later, I decided to supplement this with a couple of courses on-line from Queensland, 1,000 km away. In 2013 when I looked for a further study, I checked programs across Australia, but then realized it was just as easy to study on-line overseas. I ended up enrolled in Canada, 13,000 km away. Increasingly students will expect a normal higher education program to be something they do on-line, via a mobile device, perhaps with occasional visits to a campus. Policy needs to change to accomidate this new normal. I am reminded of the situation in the early 1990s, when it became obvious the Internet (and later the World Wide Web) would change the ways government and private organizations work. However, government and business leaders simply ignored this, until well after the change had started. Those working at lower levels had to work-around official policy, until their leaders caught up. Greetings from the Australian National University in Canberra, where Dr Lachlan Blackhall (Australia's answer to Elon Musk) launched the Network Aware Coordination (NAC) Platform. This software has been successfully tested on Bruny Island, off Tasmania, to optimize the use of household solar panels and batteries. This is the type of technology my students are studying in "ICT Sustainability" (Comp7310). In his PHD thesis, Philip Townsend (p. 26, 2017), points out there has been rapid adoption of mobile devices in remote Aboriginal and Torres Strait Islander communities. He found that most Pre-service Teachers interviewed in these communities used, or would like to use, mobile devices for accessing content and self-directed learning and that this would accelerate their studies (Townsend, p. 239, 2017). This challenges assumptions about use of technology in remote indigenous communities. Recently I took part in a workshop on how to export renewable energy from Australia. 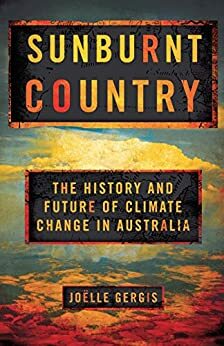 The idea is to build large solar farms in outback Australia and send the energy to Asia, either directly via high voltage undersea cables, or as liquid gas in tankers. Along with the major engineering and geopolitical challenges, there is the issue of obtaining permission for use of the land to collect the energy. Negotiating with landholders is normally thought to be something where you send letters and call meetings. However, we now have the Internet to supplement conventional means.